Usually made with spinach, gomae is one of the easiest (and most delicious) ways to eat your greens. It’s a traditional Japanese dish that is made with steamed spinach mixed with a paste of ground sesame seeds, soy sauce, mirin/sugar and sake. I like it on its own, it’s delicious, but it becomes a meal when served with rice or wrapped in a sushi roll with some cucumber. 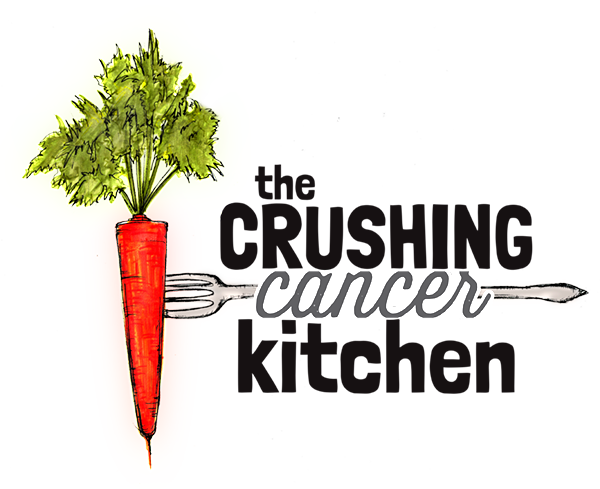 I have made it with every type of leafy green and even with green veggies like broccoli, rapini and gai lan. There is something about the slightly sweet and rich that goes so well with clean, watery, bitter veg, sort of the way sweet potatoes make me want something green to balance them out. The sesame paste is best made with fresh, un-hulled sesame seeds (as opposed to tahini). This ensures a fresher final product and a less than smooth texture, which I quite like. 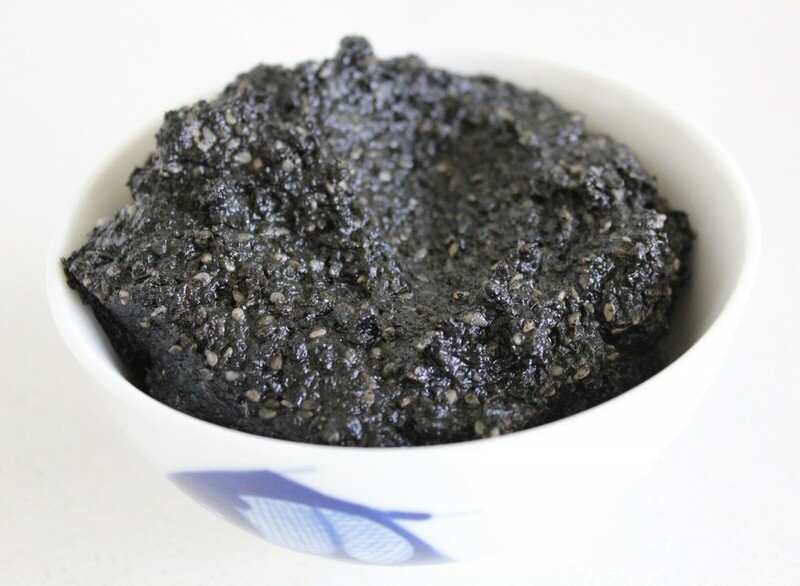 I have used black sesame seeds in this recipe because the dark pigment brings in different phytonutrients, but feel free to use white, un-hulled ones if that’s what you have on hand (if you do look for black ones, make sure they AREN’T shiny and perfect, this could mean they were dyed that colour). 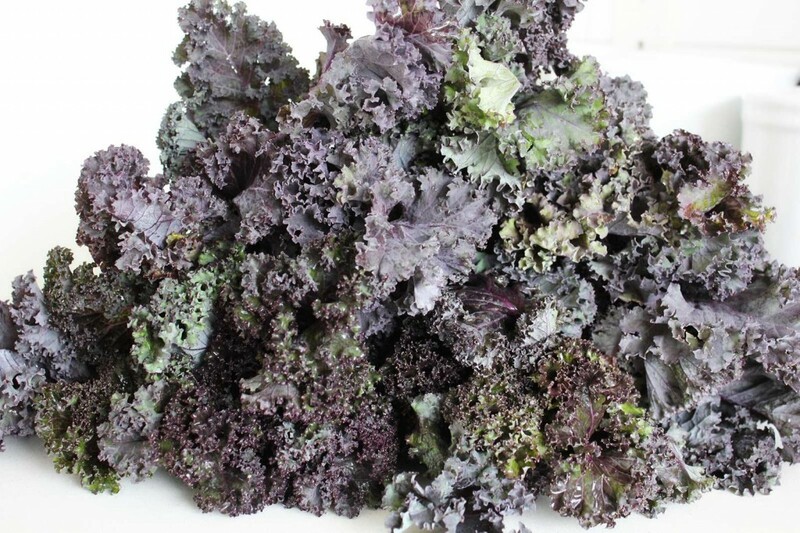 I have chosen purple kale for the same pigment-rich reason but again, use what you have/can find. Mixing up the colours and the greens themselves offers a good array of nutrients over time. 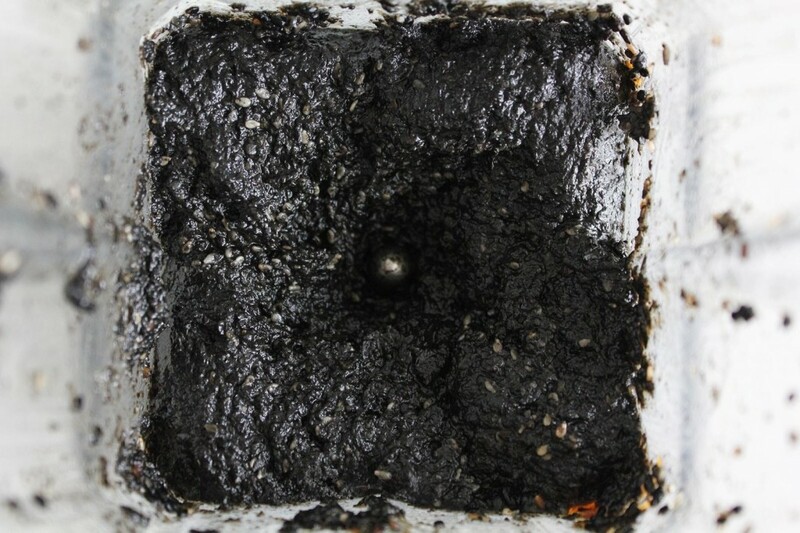 I am realizing now, these pictures are a bit goth….how often is your food actually black? It’s kind of exciting. A little bit of kimchi (I know it’s Korean, not Japanese, but we don’t mind around here, especially when they taste so good together) or other colourful, fermented veggies will brighten things up for you if midnight isn’t jiving with your current mood. We have had so much sun this summer; I think I might subconsciously be summoning the rainclouds through black rice and black sesame. I may regret this in November. Instead of cooking the kale, I have massaged it with a bit of salt (squeezed and squished it with my hands) until it got limp like cooked kale. 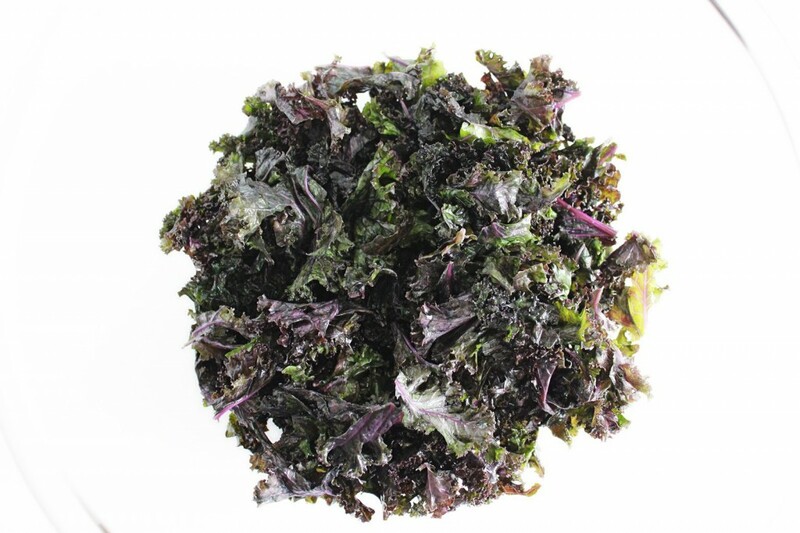 This makes raw kale easier to digest and also gives it a better texture for gomae. 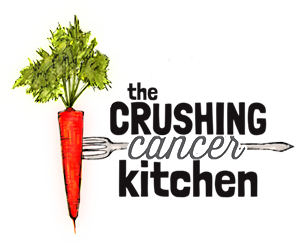 It’s a good option if you want to keep it raw and plan on eating it within 1-2 days, otherwise, steam it or sauté it in a small amount of water until it cooks down. Drain it well and squeeze out any extra liquid (once cooled). The gomae paste itself goes really well with veggies in general, not just traditionally mixed with steamed greens. Spread it in a cabbage leaf and then fill it with salad leftovers or grated veg, add to salad dressings like this and this, dip cucumbers into it or store it in your freezer until your next gomae craving. 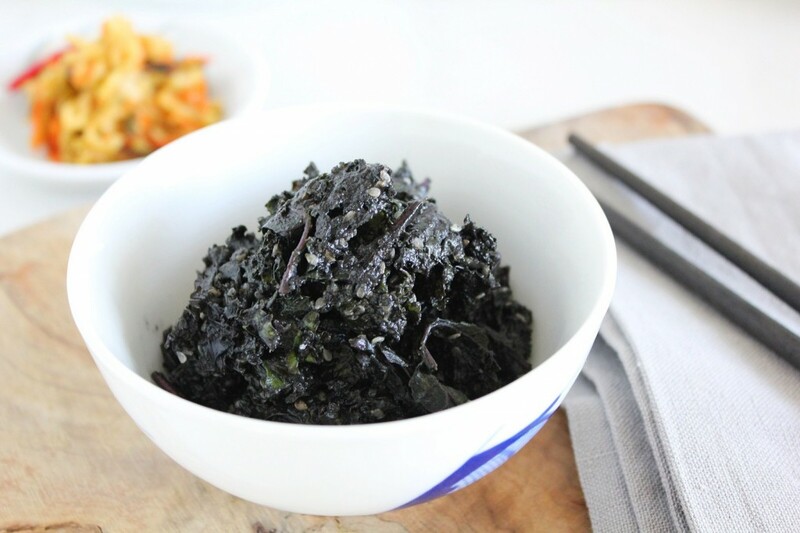 This gomae recipe makes a nutrient-rich and protein-filled snack all on it’s own. 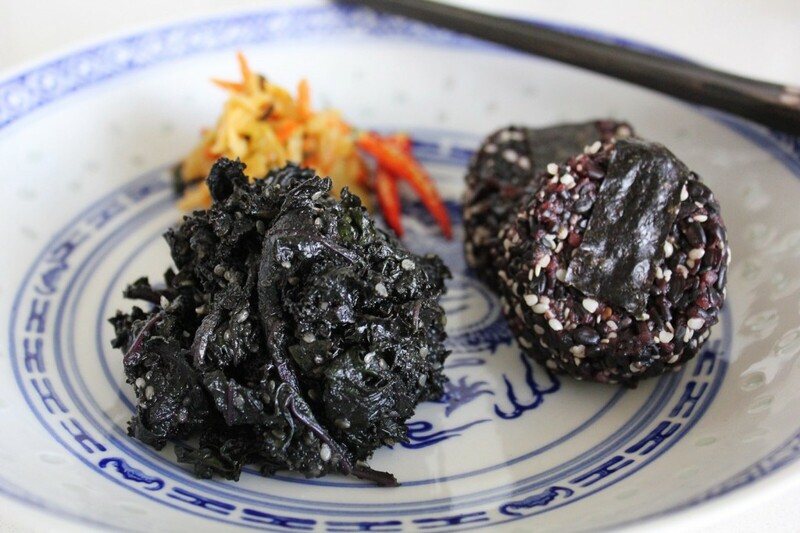 To balance its flavours out I have served it with some black rice balls (onigiri, sort of), which are just this rice, squeezed into little pucks and wrapped in nori paper. 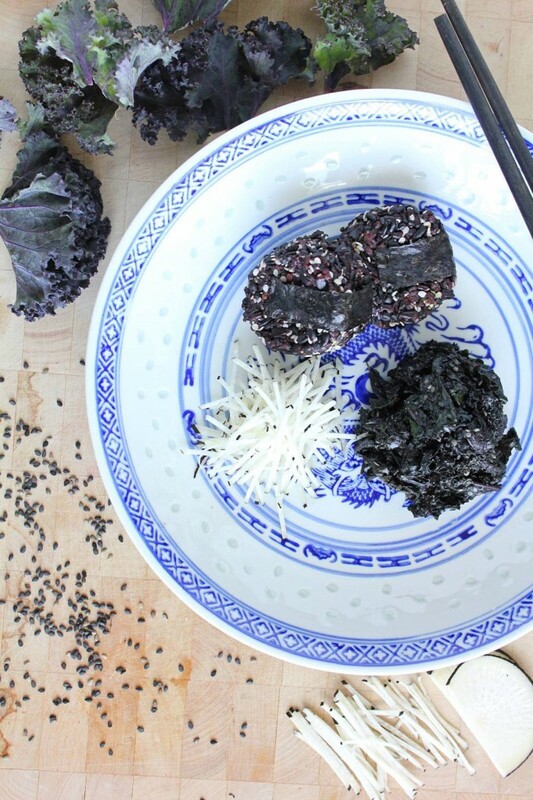 If you’re feeling fancy, you can stuff the rice balls with umeboeshi plums or any fermented veg you have on hand. If you’re not feeling fancy, you can just make a bowl of rice to serve it on, with some fermented veg on the side. Pit the dates and soak them in the water (use more if you need it to cover them, but only use 4 Tbsp of that water in the recipe). In a high power blender (or a regular one, it will take longer though), blend the sesame seeds, vinegar, tamari, dates, 4 Tbsp of the soaking liquid and sesame oil together until it comes together in a paste and is well combined. Meanwhile, stem and wash the kale. Sauté it on a bit of water and then squeeze it out very well. *Alternately*, massage the kale with the salt until it gets limp and feels cooked. This option is good if you want to keep everything raw but it doesn't keep in the fridge as long. 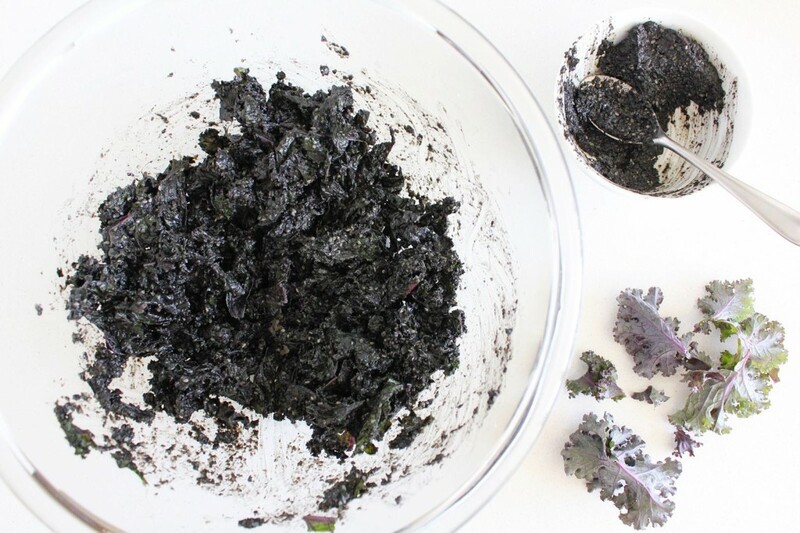 Mix the kale with the sesame paste until it is thoroughly combined. Serve with rice and fermented veggies.